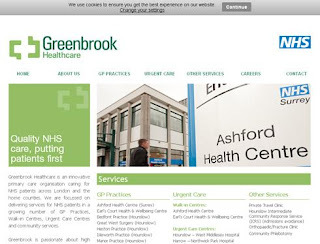 Greenbrook Healthcare is an NHS approved website for health clinics in the outer London area. There was an existing website, and the client wanted the design to be kept similar, and he provided the previous logo for use on this website. The client purchased a Web 50 package, which would give them plenty of room for expansion in the future. With the amount of pages, it was important that the navigation was clear and easy to follow. To achieve this, drop down menus were implemented. Another distinct aspect of this website is the bespoke 20 field form. This is used on the website for registration with a practice, which makes it far easier for both their clients to fill out and for the practices themselves to process.